Psychologists, counselors, social workers, graduate students and other mental health professionals are invited to attend four Problem Gambling Clinical Seminars in Bethlehem. You are not required to register for all four days. Read the payment and parking information at the bottom of this page. Click on "Register" in the column to the left. "Using Functional Behavior Assessments and Case Conceptualization Strategies to Enhance Clinical Practice"
Monday, October 29, 2018 - Registration 8:30am, Program 9:00am – 4:00pm. By Council on Compulsive Gambling of Pennsylvania, Inc.
Presenter – Alyssa N. Wilson, Ph.D.
Gambling disorder is a pervasive problem affecting individuals across the lifespan and is highly correlated with a range of other mental health disorders, including depression, substance use, mood and personality disorders. Cognitive behavior therapy (CBT) has been considered a promising treatment option for gambling disorders and is often cited as the most used form of treatment for gambling. A key component within CBT is the identification of functional or controlling variables of the person’s gambling behavior (i.e., functional behavior assessment). However, minimal attention has been provided on how to best identify functional relations for individuals with gambling disorders. Further, identification of functional relationships is needed to maximize the clinical utility of treatment. Therefore, the current presentation will focus on a) evidenced-based approaches to identifying functional relationships, b) how to infuse functional behavior assessments into clinical practice, and c) clinical case conceptualization using functional behavior assessment across a range of treatment modalities. Empirical evidence collected to date from the Saint Louis University Gambling Addictions research laboratory will be presented to highlight how functional behavior assessments can impact clinical practice. Alyssa N. Wilson, Ph.D., is an Assistant Professor and Director of Applied Behavior Analysis programs in the School of Social Work at Saint Louis University. She is a Board Certified Behavior Analyst-Doctoral (BCBA-D) and a Licensed Behavior Analyst in the state of Missouri. Dr. Wilson created the Saint Louis University Gambling Addictions research laboratory, where she works with graduate students on translational and clinical research projects related to gambling. Dr. Wilson has published peer-reviewed articles and book chapters on interdisciplinary approaches to gambling etiology, assessment, and treatment. She has delivered national and international presentations related to gambling. She serves on editorial boards for a range of journals, including the Journal of Contextual Behavior Science and Behavior Analysis in Practice. Her work has also been showcased on the Netflix show Bill Nye Saves the World. Dixon, M. R., Wilson, A. N., Belisle, J., & Schreiber, J. B. (2018). A Functional Analytic Approach to Understanding Disordered Gambling. The Psychological Record, 68(2), 177-187. Matthieu, M.M., Wilson, A.N. & *Casner, R.W. (2017) Interdisciplinary issues at the intersection of assessing and treating substance use disorders and post-traumatic stress disorder: Clinical social work and clinical behavioral analysis with veterans. Advances in Social Work, 18(1), 217-234. Wilson, A. N., & Matthieu, M. (2015). Clinical Application of Behavior Analytic Social Work Practice. 501-522. Tuesday, October 30, 2018. Registration 8:30am, Program 9:00am – 4:00pm. People often indicate that a person who struggles with addiction has a "problem' with the drug of choice; that said, we need to expand the thinking of the addiction workforce to consider addiction as a SOLUTION to a DEEPER problem. Problems that stem from trauma, abuse, ACE, and neglect left unresolved will continue to manifest itself in the solution of addiction. A comprehensive, holistic, approach treating the whole person from deep within can lead to a sustained and meaningful long-term recovery. This workshop will examine the DIS-EASE within not only the person who struggles but within all of us as well as the importance of community and connection in the recovery process. Develop an understanding that the role of pain plays in the ‘Dis-Ease’ of Addiction. Identify three shapes of pain. Address the impact of addiction within the family on today’s youth. Evaluate the impact that Adverse Child Experiences have on adulthood. Understand various principles of meaningful recovery. Analyze the importance of diet and exercise in recovery. Daniel J. Trolaro is the Assistant Executive Director for the Council on Compulsive Gambling of New Jersey. He graduated from The College of New Jersey with a BS in Finance and a concentration in Economics. He also holds his MS in Psychology from California Coast University and has spoken around the state and country about internet and mobile device gambling, emerging trends and the dis-ease of addiction. National Council on Problem Gambling. Some Quick Facts About Gambling/Gamblers. Imperatori, C., Innamorati, M., Bersani, F. S., Imbimbo, F., Pompili, M., Contardi, A., & Farina, B. (2017). The Association among Childhood Trauma, Pathological Dissociation and Gambling Severity in Casino Gamblers. Clinical Psychology & Psychotherapy, (1), 203. Gainsbury, S. M. (2015). Online gambling addiction: The relationship between internet gambling and disordered gambling. Current addiction reports, 2(2), 185-193. Check-in/Registration: 8:30 a.m. Trainings will begin promptly at 9:00 a.m. each day and end at 4:00 p.m. If you have attended our trainings before, you may be familiar with the parking lot across 3rd Street from the Northampton Community College (NCC) Fowler Southside Center. This parking lot is now a building. Free parking is available on either side of the Fowler Center on the north side of 3rd Street, as well as on the surface lots off of 2nd Street to the north of the building, as usual. On the morning of your training, please allow a few extra minutes to find parking. Participants will receive 6 CEs for this program. In order to receive the CE credits offered for this program, all attendees must be present in the workshop no later than 15 minutes after it begins and must not leave prior to 15 minutes before it ends. After completing a program evaluation, participants will receive a certificate of completion at the end of the program. This program is intended for psychologists, counselors, social workers, graduate students and other mental health professionals. For more information, contact the seminar organizer via email (RG@TaggartAssociates.com). Fee: None, and a continental breakfast and lunch will be provided. Credits (6 per day): APA, and NCGC from IGCCB, NASW-PA and LVPCA. Payment for credits will be collected the day of the workshop; cash or check will be accepted. RSVP: Register on this web site at least 7 days prior to each training. Questions? Email RG@taggartassociates.com. LVPCA is committed to accessibility and non-discrimination in its continuing education activities. LVPCA is also committed to conducting all activities in conformity with the American Psychological Association’s Ethical Principles for Psychologists. Participants are asked to be aware of the need for privacy and confidentiality throughout the program. If program content becomes stressful, participants are encouraged to process these feelings during discussion periods. If participants have special needs, we will attempt to accommodate them. If you believe that a violation of ethics has occurred during this presentation, or if you have concerns about such issues as accessibility for persons with disabilities, or distress with regard to program content, please address questions, concerns, and any complaints to Tyson Davis, Psy.D., 610-433-3360. Commercial support for this program is provided by Taggart Associates. Participants will be informed of the utility/validity of the content/approach discussed (including the basis for the statements about validity/utility), as well as the limitations of the approach and most common (and severe) risks, if any, associated with the program’s content. Lehigh Valley Psychological and Counseling Association is approved by the American Psychological Association to sponsor continuing education for psychologists. Lehigh Valley Psychological and Counseling Association maintains responsibility for this program and its content. NASW-PA Chapter is a co-sponsor of this workshop. 6 CEs will be awarded for completion of this course. NASW has been designated as a pre-approved provider of professional continuing education for social workers (Section 47.36), Marriage and Family Therapist (Section 48.36) and Professional Counselors (Section 49.36) by the PA State Board of Social Workers, Marriage & Family Therapists and Professional Counselors. RSVP: Register on this web site 7 days prior to each training. Questions? Email RG@taggartassociates.com. Presented by the Council on Compulsive Gambling of PA and sponsored by Sands Casino Resort Bethlehem. 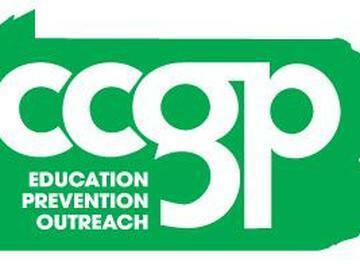 Upon registering for any of the offered workshops, recipients names will be added to the CCGP email list.